During a snowy, bitter-cold New York Fashion Week, the Nolcha Shows “Ones to Watch” heated up the runway, spotlighting a selection of Made in the USA fashion brands and student work at Chelsea’s ArtBeam Gallery. Last week’s show highlighted sustainable rising stars of the industry, Cute Like Mad and Minan Wong, two New York City-based eco-fashion brands. Both brands demonstrated their expertise in stylish, wearable ethical designs on the runway. Minan Wong’s eponymous label debuted her Fall/Winter 2016 collection, featuring artfully structured, feminine pieces made from natural, eco-friendly fibers. A fashion industry veteran and FIT graduate, Wong previously worked for Eileen Fisher and Donna Karan but branched out on her own to pursue her dream of creating a womenswear line with sustainability at its core. “I’ve always had that mindset for sustainability. Working for Eileen Fisher for 11 years definitely instilled in me this mentality and it’s something that has continued to have a huge impact on my decisions as a designer,” says Wong. Wong’s pieces utilize eco-friendly elements whenever possible, featuring high-quality fabrics like organic cotton, Tencel, recycled wool, and recycled PET. Every item is also made in the U.S., providing fair wages and supporting the local economy. Each piece of clothing from Minan Wong’s collection showcases the designer’s perspective against mass-market fashion through quality materials and chic silhouettes. “My collection is inspired by timeless luxury but in a eco-friendly, sustainable way. The vision for my pieces reflect designs made to last, clothes that can be repurposed and loved over the years. I want to produce less and focus on the quality and lifespan of a piece,” Wong says. The collection plays with subtle textures and lines, vibrant feminine silhouettes visible among the beautiful range of lace dresses, flowing cape sleeve sweaters, and ladylike coats. Minan Wong’s latest collection will be available online and at select boutiques in August. During a snowy, bitter-cold New York Fashion Week, the Nolcha Shows �Ones to Watch� heated up the runway, spotlighting a selection of Made in the USA fashion brands and student work at Chelsea�s ArtBeam Gallery. 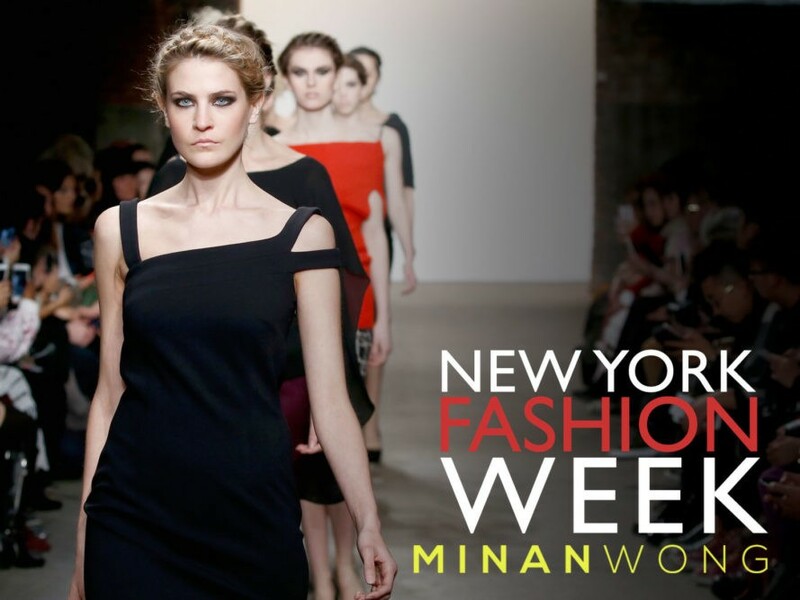 Last week�s show highlighted sustainable rising stars of the industry, Cute Like Mad and Minan Wong, two New York City-based eco-fashion brands. Both brands demonstrated their expertise in stylish, wearable ethical designs on the runway.